Camp Jori is located on Worden's Pond in Wakefield, Rhode Island. Camp Jori, a co-ed camp for grades K-10, is located on Worden’s Pond in Wakefield, Rhode Island. JUNE 21, 2018 – For many people, memories of youthful days at summer camp are very special. Away from family members, neighbors and classmates – sometimes for the first time in their lives – kids can discover new activities and interests, try new sports, learn new skills, enjoy the outdoors and form lifelong friendships. Here are some of the best local day and overnight camps in New England. Cedarland Summer Day Camp offers two exciting camps: Full Day for campers ages 4-12 and Junior Outing for campers ages 12-14. Each camp is designed to address the needs and interests at the various stages of a child’s life. The common philosophy across our camps is to improve a child’s fitness and confidence through participation in a variety of fun activities in a non-competitive environment. Cedarland’s camp facilities include an Olympic-size pool, playground, basketball and volleyball courts, covered lunch area, and locker rooms. Campers also have access to the aMAZEment Action Playcenter and Cedarland Mini-Golf, Batting and Ropes Courses. Cedarland is located at 888 Boston Road, Haverhill, MA. Call 978-521-7700 or visit www.cedarland.net. “Camp for a Day” at Pembroke, Tel Noar, and Tevya! Future campers can come for a Sunday of fun to experience the energy and warmth of the three Jewish overnight Cohen Camps! Activities include a camp buddy for kids, tours for parents, and kosher lunch with the whole camp. 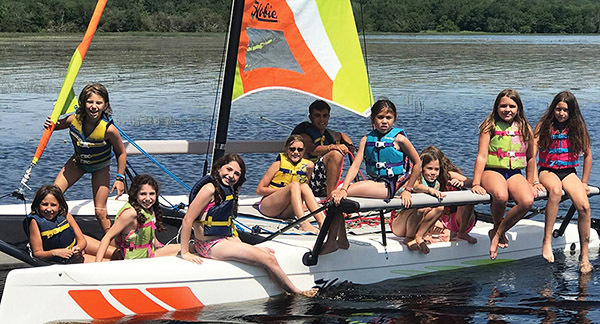 Located just an hour from Boston, children at the Cohen Camps live all the magic of summer: deep friendships, outdoor living, arts, swimming and sports, infused with Jewish ruach (spirit). July 8: Camp Pembroke, just for girls. July 15: Camp Tel Noar. Learn s’more & RSVP at our website. Call 781-489-2070 or visit www.cohencamps.org/try-camp. Camp JORI, located on 75 pristine acres in Wakefield, Rhode Island, is a co-ed Jewish overnight camp for children in grades K-10. Our comprehensive program of sports, arts, adventure and special activities is enhanced by our Jewish and Israeli culture and our strong sense of “TACEO” – Taking Care of Each Other. Whether your child is a full season camper or is trying camp for the first time, we offer a wide variety of session options. Our Jump Into JORI weekend program is perfect for those who want to get a taste of overnight camp. Summer days here are action-packed and an incredible value! Camp JORI is located at 1065 Worden’s Pond Road, Wakefield, RI. Call 401-783-7000, visit www.campjori.com, or email sharon@campjori.com. Camp JORI introduces JORIPAC – a performing arts “Camp-Within-A-Camp.” Open to teens in 7th to 10th grade who want to immerse themselves in performance while enjoying all that traditional overnight Jewish summer camp has to offer. Our hands-on performing arts program of theater, dance, and circus arts is enhanced by Camp JORI’s warm, family-like atmosphere. Unplugged and open to new experiences, teens act, sing, dance, walk on stilts, tumble, juggle, and perform at exciting all-camp shows. Under the guidance of performing arts professionals, campers discover more about who they are as artists and individuals while making lifelong friendships. Camp JORIPAC is located at 1065 Worden’s Pond Road, Wakefield, RI. Call 401-783-7000, visit www.campjori.com/JORIPAC, or email sharon@campjori.com. Artists, athletes, techies, teachers and camp-loving college students form our dynamic team of camp counselors. Together, we’ve created six memorable weeks of summer fun, unique experiences, and lasting friendships. Visit us at towerschool.org/summer to view detailed descriptions, dates and pricing for an awesome summer for children and teens. When you’re ready to register, click the Register Today button to get started. If you have questions, please contact us via email at summer@towerschool.org.  We’ll get right back to you. Summer at Tower is located at 75 West Shore Drive, Marblehead, MA. Call 781-631-5800, visit towerschool.org, or email summer@towerschool.org. Camp Yavneh, located in beautiful southern New Hampshire, has been an overnight Jewish camp destination for 75 years. Yavneh blends state-of-the-art camp programming in an environment that makes Jewish traditions come to life. K’lal Yisrael – “all of Israel” – is in our DNA. Whatever their Jewish background, campers socialize with people from varied Jewish backgrounds and practices and form friendships that last a lifetime. Yavneh offers a range of programming, including our traditional overnight camp program, Na’aleh (our summer in Israel program), and Family Camp. Camp Yavneh is also a destintation for schools and synagogues for weekend retreats. Camp Yavneh is located at 18 Lucas Pond Road, Northwood, NH. Call 603-942-5593, visit www.campyavneh.org, or email info@campyavneh.org. Camp Young Judaea serves children ages 8-15 who are completing grades 2-9. Located on 168 scenic wooded acres on the shores of Baboosic Lake, our waterfront features powerboats, canoes, kayaks, sailboats, paddleboards, and rowboats. Natural beauty abounds with hiking trails and plenty of green space and places to play and relax. Camp facilities include eight tennis courts, several playing fields, basketball and volleyball courts, archery, broadcasting/video studios, and outdoor cabins. Spacious indoor facilities include a gym/theater, arts and crafts studio, and a rec hall. Shabbat services are held in a beautiful grove, sheltered by towering pine trees. Music, dance, drama, and Jewish education are integral parts of our program. Camp Young Judaea is located at 9 Camp Road, Amherst, NH. Call 781-237-9410, visit www.campyoungjudaea.com, or email info@cyj.org. I fondly remember my two summers at Camp Young Judaea during the early ‘50’s. Reading this brought back some lovely memories. So glad to know the camp still exists.